Disclosure: This post contains affiliate links. I appreciate it anytime you use them. 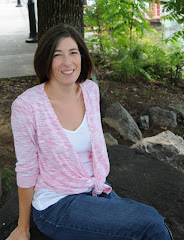 Linking up with Works For Me Wednesday at Giving Up on Perfect. I get an extreme sense of satisfaction and accomplishment when I do something by myself. Specifically, when I do something that I might have otherwise hired out to be done by a professional. The fact that I also save significant amounts of money at the same time is the cherry on top. 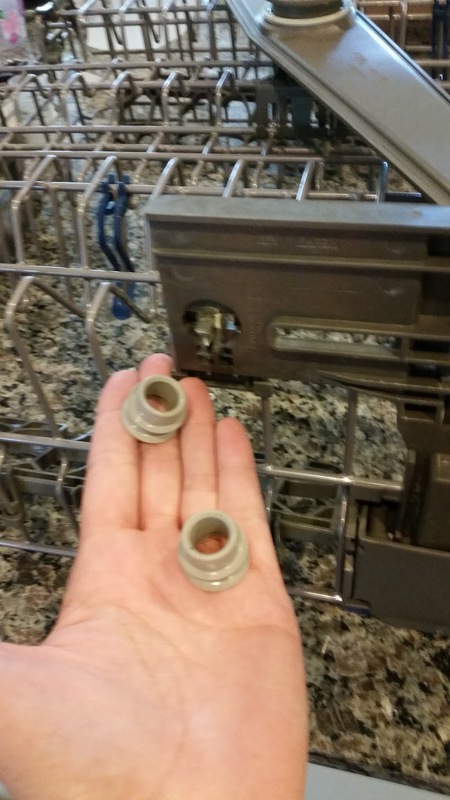 Last week we discovered that a post that holds a wheel on the top rack of our dishwasher had broken. In fact, three of the four were broken. When you combine this with the fact that the door started leaking, I was ready to just pitch it and get a new one. 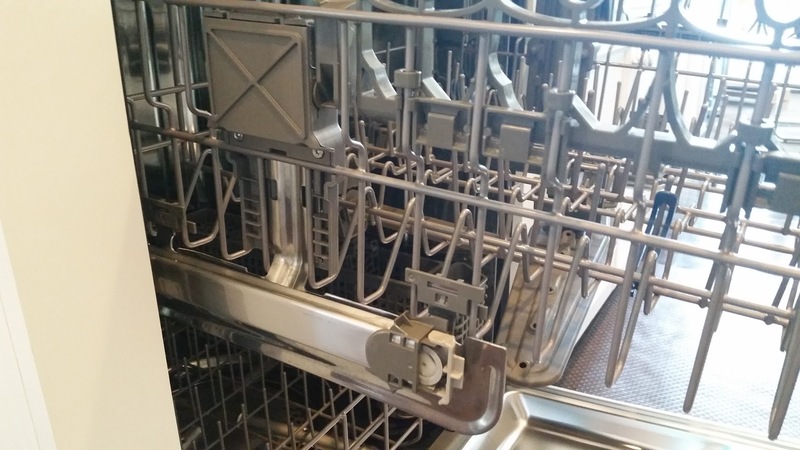 I know that sounds a little overblown, but we’ve had issues with this dishwasher since day one. After a bit of technical research on the Google machine I discovered this is quite common. 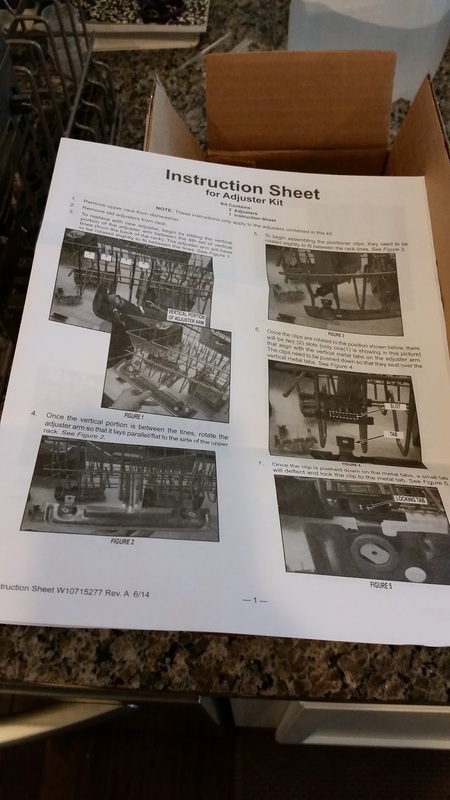 I used my model number to find the part number that would need to be replaced. I intensified my research by digging deep into You Tube for how-to videos. 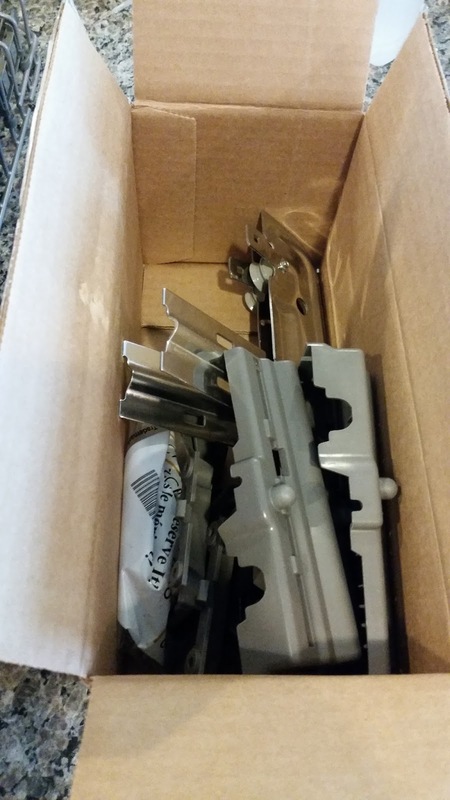 Lastly, I pulled the trigger and ordered the part from Amazon after an online chat to determine that the new metal parts would work in the place of the plastic ones. Two guesses as to why they are now made of metal instead of plastic. You got it – they were constantly breaking! Thanks to Amazon Prime, I had the parts the next morning and it was time to get to work. 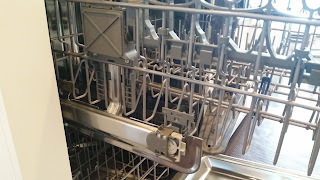 I extricated the top rack from the dishwasher, laid out my parts, queued the video and broke bad on those busted parts. All went well until the very last piece, which needed a torx driver for the supplied screws. I knew we had one, but apparently not here, so off to AutoZone.com for same day pickup. They are a Pure Charity partner, so I love ordering online to pick up later. Once I had the driver, the 4 screws were tightened in a matter of seconds. The rack was reinstalled and VOILA! Fixed! For less than $40 we had a rolling rack! Funny thing, the door stopped leaking. The malfunctioning rack was keeping the door from closing completely. It still needs to be lowered in the back a bit, but that’s a job for another day and will require 2 people. Here’s to hoping that the feeling of satisfaction continues and makes me want to load and unload it regularly simply to feel that smooth gliding. I am more deeply invested. Ownership drives my participation. I also love doing things with my hands. Win–Win! Now it’s time to toot your own horn. Are you a DIYer? What task have you completed that gave you the same sense of satisfaction? 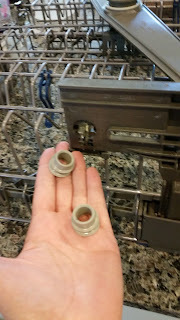 My dishwasher is currently broken, and I am in serious awe of your fix-it skills!!! My husband tried to fix ours, but couldn't, so now we're waiting for the repairman to come on Monday.